Rene is a microbiologist-turned-epidemiologist interested in antibiotic resistance and the ecological and evolutionary processes of the human gut microbiome. 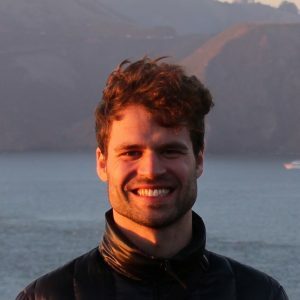 He has a background in Biomedicine (BS at Georg-August-University in Göttingen, Germany & Karolinska Institute in Stockholm, Sweden) and in Computational Systems Biology (MS&PhD at University of Oxford, UK). From 2016 to 2017, he was based in Laos and Thailand working with Ben Cooper of the Mahidol-Oxford Tropical Medicine Research Unit in Bangkok on longitudinal data to study the effects of antibiotics on extended-spectrum beta-lactamase resistance in the gut microbiome of hospital patients. Rene spent 2018 in New York City, collaborating with Joao Xavier’s lab at the Memorial Sloan Kettering Cancer Center looking at microbiome dynamics of cancer patients. His interests further include timeseries analysis, causal inference, Bayesian modelling, rock climbing, and swing dance. As a Research Associate at CCDD, Rene’s main research area will be the resistance of enteric bacteria using probiotics and an ecosystem perspective. He will analyze metagenomics data from follow-up stool samples of new-born babies in an intensive-care unit in Cambodia, and he will study how use of antibiotics and probiotics affect the gut microbiome and emergence of resistance. Using this data and simulations Rene will develop an optimal survey design to study the effect of probiotics from metagenomic data.